Funeral services for a security guard killed by a police officer in the south suburbs will take place at the House of Hope Saturday morning. NBC 5's Lisa Chavarria has the details. Friends and family attended funeral services Saturday for a security guard who was fatally shot by a suburban Chicago police officer outside the bar where he worked. Jemel Roberson was killed on Nov. 11 while holding at gunpoint a man who'd been involved in an earlier shooting at the bar in Robbins, just south of Chicago. Investigators said that Roberson, who was black, was not wearing any clothing that identified him as a guard. But some witnesses claimed Roberson was wearing a hat emblazoned with the word "Security" when he was shot by a white officer from nearby Midlothian who was responding to the initial shooting. Some mourners who attended Saturday's funeral at the House of Hope in Chicago's Pullman neighborhood wore shirts reading "Security" and "#JusticeforJemel," while others wore security uniforms. 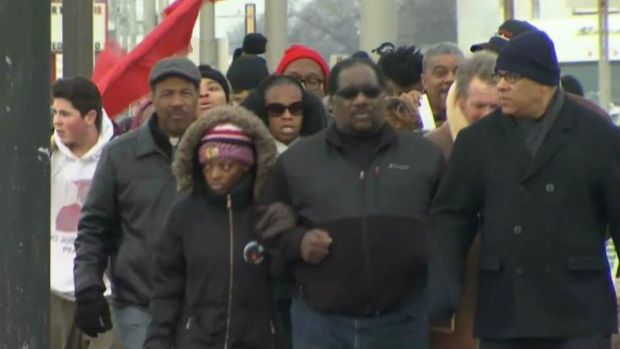 Community activists in the southwest suburbs used this Black Friday to send a message, demanding justice in the shooting death of Jemel Roberson. NBC 5's Ash-har Quraishi has more. Friends said that Roberson, 26, was a father, had another child on the way and that he wanted to become a Chicago police officer. Since his death, Roberson's family has filed a lawsuit against the Midlothian Police Department and there have been protests calling for the firing of the officer, whose name has not been publicly released. A group of clergy and activists also called for an independent investigation into the fatal shooting. "We deserve to know the name of the police officer," said Rev. Marshall Hatch of The Leaders Network. "We don't necessarily trust the police to police the police, and therefore, an investigation on the part of the Illinois State Police is not going to clear the air." 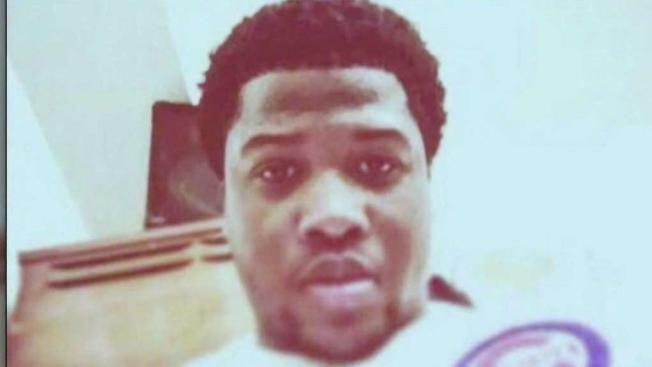 Going to share some painful images and videos from the funeral of #JemelRoberson this morning. He should be a household name. He's a national hero. Here's the program for the service.